Brandon Zanan's education in both law and medicine assist him in representing clients in personal injury practice. Brandon has a Master's Degree in Forensic Medicine from the Philadelphia College of Osteopathic Medicine, where he studied anatomy and pathology. As a result, he is familiar with reading medical records and understanding injuries that are common in personal injury claims. He uses this expertise to help clients navigate through complicated personal injury issues. His background includes a variety of experience and skills in various areas of civil practice. He is the author and editor of numerous treatises for the George T. Bisel Publishing Company, including the Pennsylvania Vehicle Code Annotated and Pennsylvania Damages. 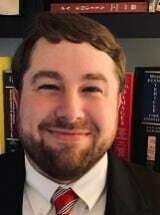 Brandon obtained his law degree from Widener University School of Law in Delaware and is a member of the Pennsylvania and Montgomery Bar Associations. He is admitted to practice in the Commonwealth of Pennsylvania as well as the United States District Court for the Eastern District of Pennsylvania. Previously, as an associate in a midsized Philadelphia law firm, he represented many clients in motor vehicle and slip and fall cases all over Pennsylvania, assisting them in reaching favorable results. He also represented clients in various areas of civil litigation as a member of a small suburban law firm in Montgomery County. Brandon has served as an executive board member of the Montgomery American Inn of Court, and has volunteered his time for Wills for Heroes as well as the Montgomery Child Advocacy Project. He resides in Phoenixville with his wife.